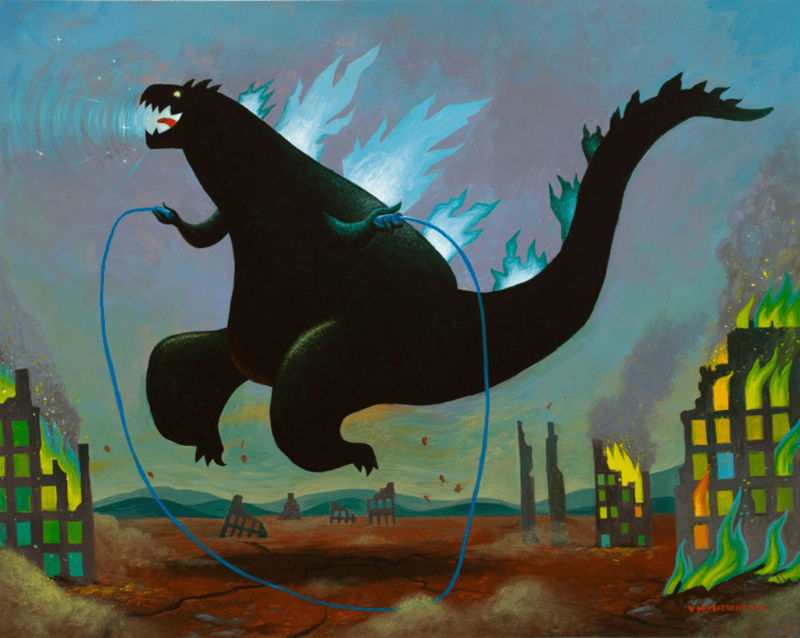 Here’s my new favorite drawing of Godzilla. Art is by Mike DiPetrillo, aka Mikeatron. He paints fun stuff.